5 Reasons You'll Love to Party with Us! 2. We Know What Kids Like- Fun, Fun, Fun! 3. Value, Value, Value Parents want it & we provide it! 4 lt"s a Fun-tastic Party with NO Stress! 5. It's E-A-S-Y to Reserve A Party & We'll Do ALL the Rest! Glow Bowl option is available for a flat fee of $25.00. A $25.00 deposit is required to reserve your date and time. An 18% gratuity is added to your bill for the party hostess & cook. Cash or credit card is fine for final payments. We ask that the gratuity be paid in cash. All Prices listed are per person. All Taxes are included. Gratuities for preparations is based on 18% of the FOOD Portion only. You are responsible for Payment in Full for the Food Portion based on your FINAL COUNT given · however, adjustments can be made to the number of bowlers. 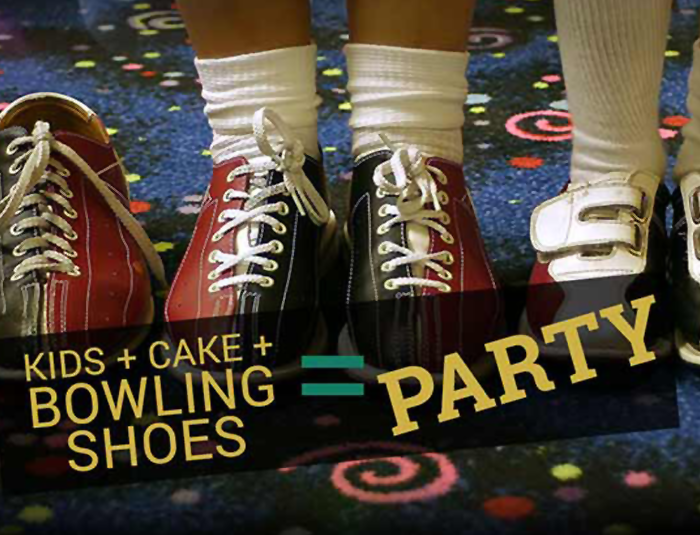 Lanes will be provided to accommodate a minimum of four (4) bowlers per lane · within reason. Rental Shoes will be provided at no cost. A guaranteed minimum of 20 people is required for package rates. Minimum deposit of $100.00 is required to reserve the date & time. Deposit is NON-REFUNDABLE. Final count must be provided no later than 7 days prior to event. FINAL PAYMENT must be made day of the event - Prior to Food Service- unless prior arrangements have been made. Bar - 2 Hour Draft Beer, Wine & Soda - $30.00pp Private Room Charge - $100.00.